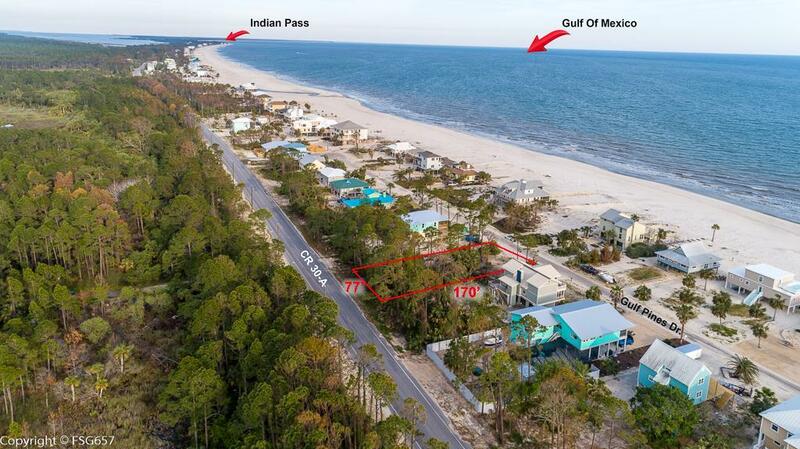 FIRST TIER home site is perfect for your dream home with beach access just steps away! This lot is just across a quiet street from the sugar white sands of the Gulf of Mexico. Easy access from CR 30A. Only minutes from the local boat ramp, St. Vincent's Island, the World Famous Indian Pass Raw Bar and other local area attractions. Come down and enjoy Gulf County's dog-friendly beaches and make bonfires to watch the sunset by. This is a fantastic opportunity to be close to your favorite place in the sun! HOA fees are voluntary.